American Caribbean Real Estate is pleased to announce that they have just been hired as exclusive marketing agent for Key Largo’s Ciudad Mar, located at Mile Marker 97.8, Oceanside. 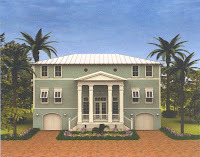 Ciudad Mar offers 19 exceptional southern coastal style single family homes within a private waterfront enclave. Construction is currently underway and a completed model home is expected within the next few months. “We are very excited to be adding this to our portfolio of other new Keys developments we are currently offering”, says broker Joy Martin. “These homes are going to very quite spacious and well appointed and are sure to standout in the local community”. The project is being reviewed to add more common areas within the community as well as to maximize the water views for each home. A pricing plan has been implemented as well, giving these homes even more appeal to both full-time and part-time home buyers. Priced from $1,098,000, Ciudad Marr offers a choice of 4 floor plans ranging from 3,502 square feet to 5,025 square feet under air. American Caribbean Real Estate and their sister company Marr Properties Inc. in Key Largo also offer Mahogany Bay in Key Largo, a luxury development in Key Largo consisting of 5 oceanfront homes; The Pier in Islamorada, a luxury development in the heart of Islamorada offering 8 oceanfront and oceanview homes on 4 acres; and Tarpon Basin Villas, an exclusive condominium hotel in Key Largo. A forward-looking indicator based on pending home sales shows the housing market could edge down but appears to be in the process of leveling off, according to the NATIONAL ASSOCIATION OF REALTORS®. The Pending Home Sales Index, based on contracts signed in April, stood at 101.4, down 3.2 percent from an upwardly revised March reading of 104.8. The index is 10.2 percent lower than April 2006 when it registered 112.9. The revised March index was 10 percent below a year earlier. Lawrence Yun, NAR senior economist, says the current index appears to be a fair representation of overall housing market conditions. “It looks like we may be leaving a period of market disruptions," Yun says. "For the past two months the pending home sales index has been similar in year-ago comparisons, which means home sales might ease but should be fairly stable in the months ahead." In April, existing-home sales declined in part because some subprime lenders went out of business and disrupted the market, Yun says. 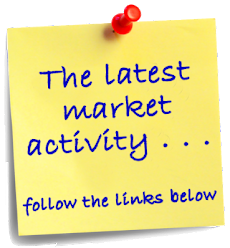 On the other hand, Yun says psychological factors seem to be holding buyers back as they look for clear signs that the market has bottomed. That varies from one area to another, he adds. The index is based on pending sales of existing homes; a sale is listed as pending when the contract has been signed but the transaction has not closed. An index of 100 is equal to the average level of contract activity during 2001, which was the first year to be examined as well as the first of five consecutive record years for existing-home sales. Midwest: rose 2.3 percent in April to 98.1, but was 4.4 percent below a year ago. South: increased 0.7 percent from March to 116, but was 10.4 percent below April 2006. West: fell 10.2 percent in April to 91.4, and was 11.7 percent lower than a year ago. Northeast: dropped 10.4 percent from March to 89.3, and was 15.4 percent below April 2006. Mortgage lenders are tightening standards in ways that can make it much more difficult for potential borrowers to get approval for loans. Ability to repay. Buyers are no longer being qualified at the low initial rate. They must qualify for the loan payments at rates equal to what the loan would be if it reset at a higher rate. Down payment. Lenders want buyers to put some money down, even as little as 5 percent or 10 percent. Loans for 100 percent of the price are very hard to get. Credit score. Credit scores range from the high 300s to the low 800s. Borrowers with a credit score above 680 are likely to qualify for a reasonable deal. Between 660 and 680, they may qualify, but the deal could be pricey. Potential borrowers with a score of 620 or less need to raise their scores before they can qualify. Income and income verification. Producing proof that a borrower has a job is key; “stated income” loans are much more difficult to get. Also lenders are unlikely to approve a loan in which the home buyer will spend more than 45 percent of his gross income paying off debt, including paying the mortgage. Wondering what the highest residential sales of 2006 were? From multi-acre bayfront estates to oceanfront getaways, there was something for everyone. Here are the top ten highest priced closed sales that took place in the Upper Keys in 2006, as found in the Florida Keys Multiple listing service.